WASHINGTON, June 4 (Reuters) – The U.S. Supreme Court on Monday handed a victory on narrow grounds to a Colorado Christian baker who refused for religious reasons to make a wedding cake for a gay couple, stopping short of setting a major precedent allowing people to claim exemptions from anti-discrimination laws based on religious beliefs. The ruling concluded that the commission violated Phillips’ religious rights under the U.S. Constitution’s First Amendment. But the justices did not issue a definitive ruling on the circumstances under which people can seek exemptions from anti-discrimination laws based on their religious views. The decision also did not address important claims raised in the case including whether baking a cake is a kind of expressive act protected by the Constitution’s free speech guarantee. Two of the court’s four liberals, Stephen Breyer and Elena Kagan, joined the five conservative justices in the ruling authored by Justice Anthony Kennedy, who also was the author of the landmark 2015 decision legalizing gay marriage nationwide. But Kennedy also stressed the importance of gay rights while noting that litigation on similar issues is likely to continue in lower courts. “Our society has come to the recognition that gay persons and gay couples cannot be treated as social outcasts or as inferior in dignity and worth,” Kennedy wrote. “The outcome of cases like this in other circumstances must await further elaboration in the courts, all in the context of recognizing that these disputes must be resolved with tolerance, without undue disrespect to sincere religious beliefs, and without subjecting gay persons to indignities when they seek goods and services in an open market,” Kennedy added. The case pitted gay rights against religious liberty. President Donald Trump’s administration intervened in the case in support of Phillips. They filed a successful complaint with the state commission, the first step in the six-year-old legal battle. State courts sided with the couple, prompting Phillips to appeal to the top U.S. court. Phillips has said a backlash against his business has left him struggling to keep the shop afloat. “Government hostility toward people of faith has no place in our society, yet the state of Colorado was openly antagonistic toward Jack’s religious beliefs about marriage. The court was right to condemn that,” said lawyer Kristen Waggoner of the conservative Christian group Alliance Defending Freedom, which represents Phillips. American Civil Liberties Union lawyer Louise Melling, who represents Mullins and Craig, said the high court made it clear that businesses open to the public must serve everyone. “The court reversed the Masterpiece Cakeshop decision based on concerns unique to the case but reaffirmed its longstanding rule that states can prevent the harms of discrimination in the marketplace, including against LGBT people,” Melling added. The case became a cultural flashpoint in the United States, underscoring the tensions between gay rights proponents and conservative Christians. Mullins and Craig said Phillips was using his Christian faith as pretext for unlawful discrimination based on sexual orientation. 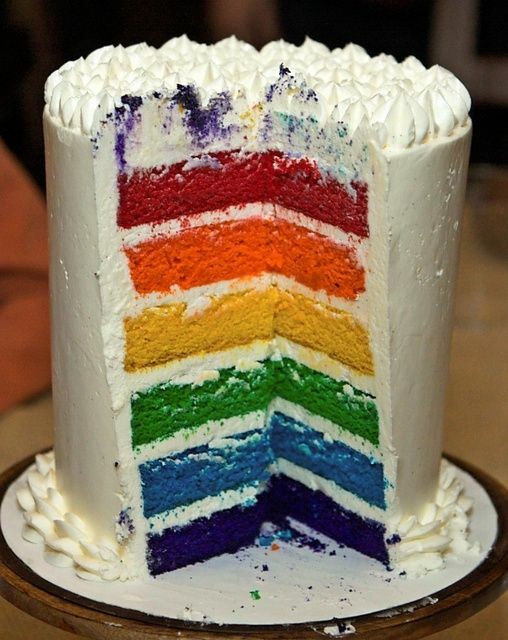 Phillips’ lawyers said his cakes are an art form – a “temporary sculpture” – and being forced to create one to commemorate a gay wedding would violate his constitutional rights to free speech and expression and free exercise of religion. The litigation, along with similar cases around the country, is part of a conservative Christian backlash to the Supreme Court’s gay marriage ruling. Phillips and others like him who believe that gay marriage is not consistent with their Christian beliefs have said they should not be required to effectively endorse the practice. Gay rights advocates said the case is just one part of a bigger struggle seeking greater legal protections for gay, bisexual and transgender people, including in the workplace, even as they fight efforts by conservatives to undermine gains secured in recent years.